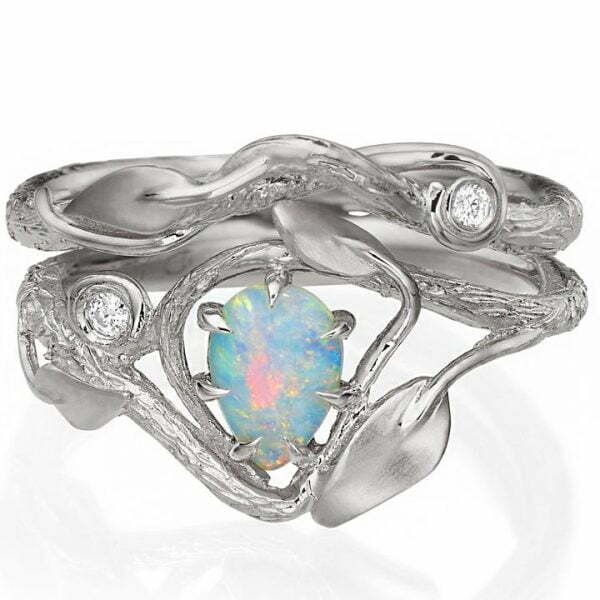 A handmade bridal set of two rings set with a beautiful Australian opal stone and white diamonds. 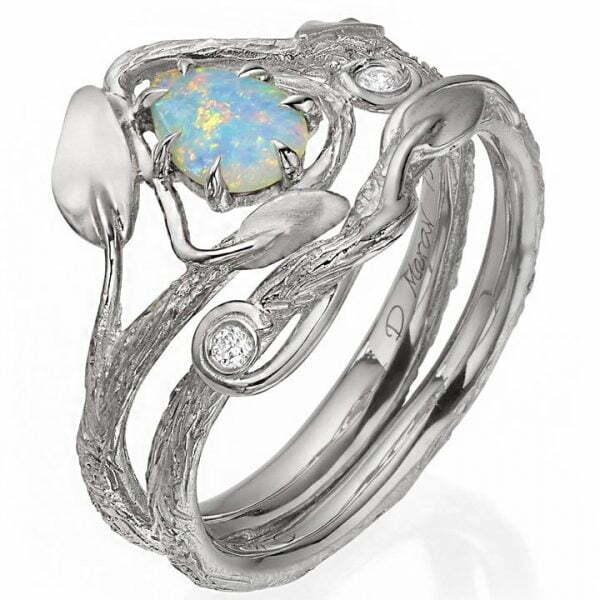 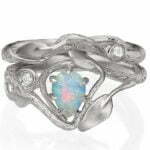 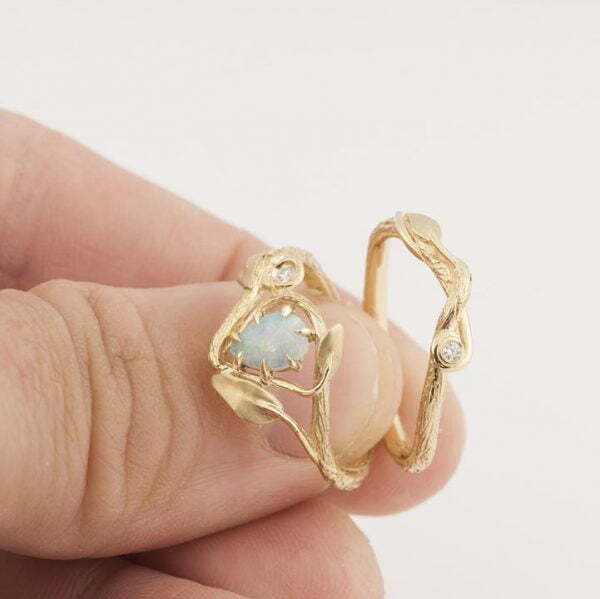 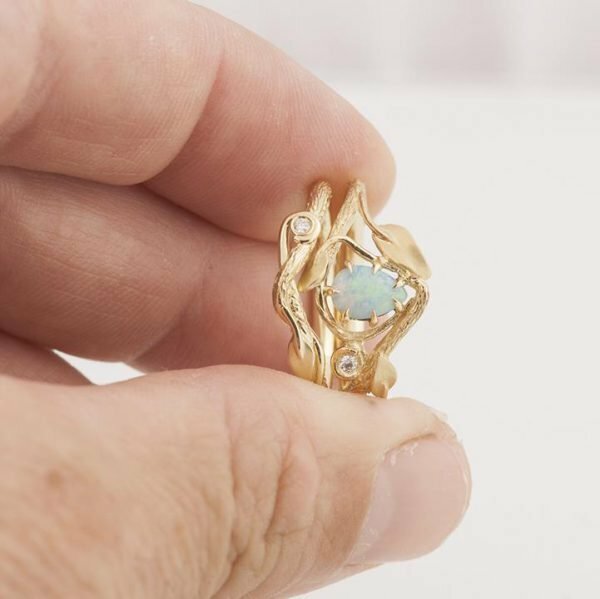 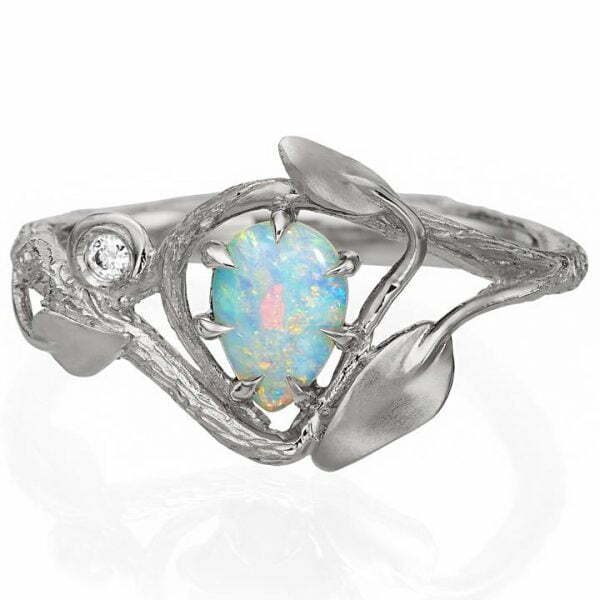 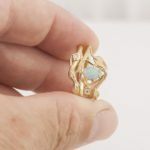 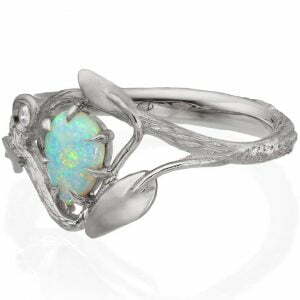 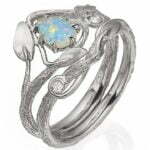 The opal is 100% natural and is 5mmX7.5mm. 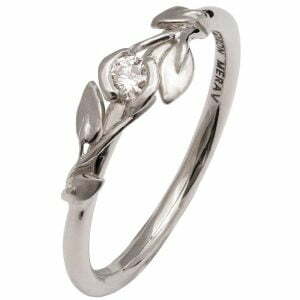 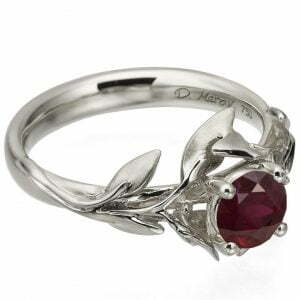 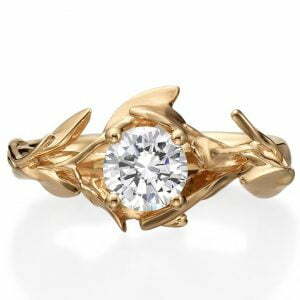 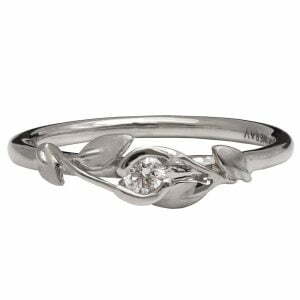 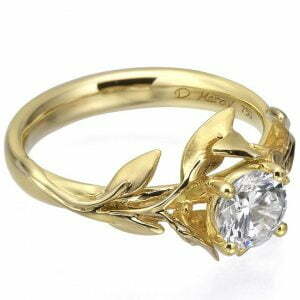 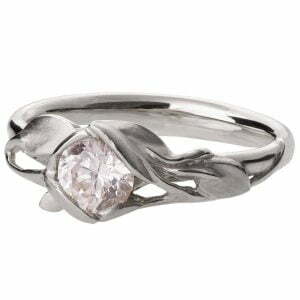 The diamonds are100% natural and 1.6mm in diameter.. 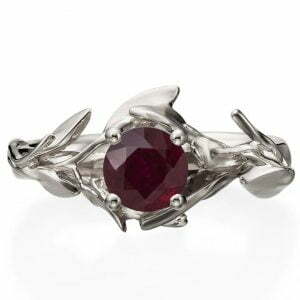 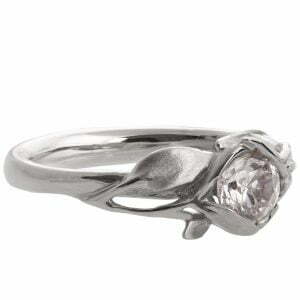 This ring pictured is about 12.5mm wide at the widest point the back is about 3mm wide in average in the back. 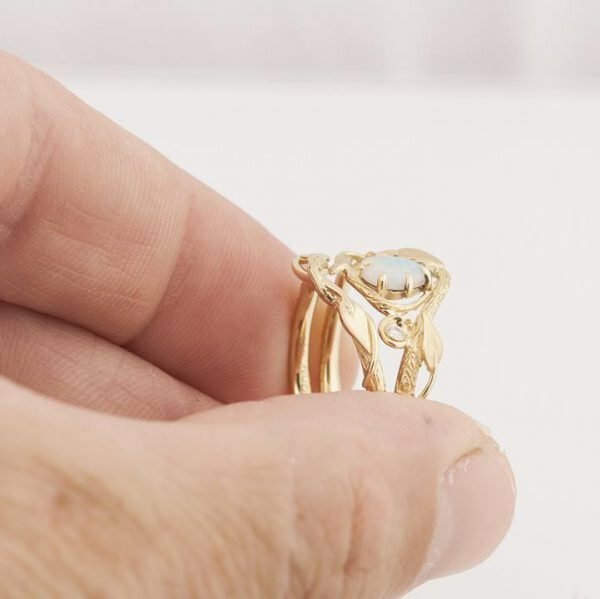 The matching band is about 2mm wide at the back and about 2.5mm wide at the top.